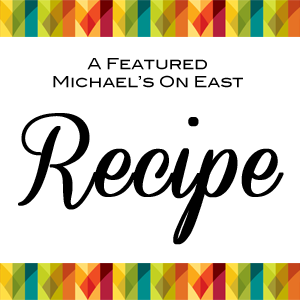 Chef Jamil is pleased to share another recipe from the Michael's On East kitchen. We invite you to try his presentation of Swordfish Escabeche on the Savor Sarasota Restaurant Week lunch menu, June 1-14, 2016 at Michael's On East. Spanish Point Swordfish Escabeche Sautéed Peppers, Onions, Green Olives, Capers, Tomatoes & Lime Juice Served with Crispy Yucca & Sweet Corn Salsa For the Escabeche Sauce ½ cup Champagne vinegar ½ cup tomato sauce ½ cup tomato ketchup 1 Tablespoon Sriracha 1/3 cup honey Salt and Pepper to Taste Method In a bowl, whisk all the Escabeche sauce ingredients together to incorporate. Taste and adjust seasonings, if desired. Set aside until the dish is ready to be served. For the Sweet Corn Salsa 3 large ears of corn 1 Tablespoon olive oil 1/4 red onion, diced 2 ripe tomatoes, seeds slightly removed and diced 1 jalapeño pepper, seeded and minced Juice of one lime 1/3 cup fresh cilantro, chopped Salt to taste Method Remove the husk and strings from the corn. Brush with oil and place the ears of corn on the grill for a little color, approximately 2-3 minutes, rolling to heat all sides. Once grilled, slice corn off the cob and add to bowl with remaining ingredients and stir. Taste and adjust seasonings as desired, adding more salt or lime juice for added flavor. Set aside until the dish is ready to be plated. For the Crispy Yucca 2 large Yuccas 1 Tablespoon Olive Oil ½ teaspoon Chili Powder 1 teaspoon Salt Freshly Ground Black Pepper, to taste Method Preheat oven to 450 degrees F. Peel the yuccas with a vegetable peeler to remove waxy skin. Chop in half and then slice each half into fry-shapes (log style). Place sliced yucca into a large pot and filled with water. Heat on the stovetop until water comes to a boil. Allow to cook in boiling water for 10 minutes. Strain the yucca from water and rinse with cold water. Place the yucca in a large bowl and top with olive oil. Sprinkle with chili powder, salt and pepper and lightly toss to coat. Line onto a baking sheet (do not overcrowd) and bake for 15 minutes. Remove from oven and flip yucca fries. Return to oven and cook for an additional 15 minutes. Keep warm until the dish is ready to be plated. For the Swordfish 3 Swordfish Steaks, Roughly 3/4 Inch Thick 4 oz Olive Oil 1 Tablespoon Garlic, Minced 1 Cup of Julienned Red and Yellow Bell Pepper 2 Tablespoons of Grated Fresh Ginger 1 Tablespoon of Capers ½ Cup of Pitted Whole Spanish Green Olives 1 Large Julienned Red Onion 1 Large Tomato, Seeded and Julienned 2 Fresh Limes, Cut In Half For Garnish Salt and Fresh Ground Black Pepper Method Add 2 oz oil to a large heavy skillet over medium high heat. Add ginger, garlic and onions and sauté for until aromatics are fragrant. Add bell peppers and tomatoes and sauté for two minutes. Add the capers and olives. Pour Escabeche sauce over vegetables. While you prep and cook the fish, let the sauce simmer over medium heat until the sauce is slightly thickened. While the sauce is simmering, season swordfish steaks with salt and pepper. In a heavy skillet, add the oil and heat over high heat. Add the swordfish to the hot oil and cook 2 minutes on one side until golden brown. Turn the fish, add the Escabeche sauce on top and cook for an additional 2 to 3 minutes until the fish is thoroughly cooked. Serve immediately. To Plate In the middle of a large plate, place a piece of swordfish. Add the Escabeche sauce on top, place the yucca next to the fish, top with corn salsa and serve! Michael’s Mighty Mushroom Burger has been unveiled today as part of the James Beard Foundation's Blended Burger Project™. In fact, Michael’s On East is the only Sarasota restaurant participating in the James Beard Foundation contest this summer! The James Beard Foundation’s Blended Burger Project™ is a movement that strives to make burgers better by blending ground meat with chopped mushrooms, creating a delicious patty that’s healthier for restaurant guests and more sustainable for the planet. The 2016 Blended Burger Project™ launched on Memorial Day continues through July 31, 2016. Of course, the Restaurant's one and only Chef Jamil designed our blended burger for the summertime campaign: Mighty Mushroom Burger High Plains Ranch Bison, Chorizo & Beech Mushroom Burger, Porcini-Rubbed & Topped with Pan-Roasted Trumpet Mushrooms, Monterey Pepper Jack Cheese, Tomato & Sweet Onion Relish, Baby Romaine, Creole Mayo on Tom Cat Brioche Bun, Served with Truffle Fries & Housemade Ketchup Talk about a perfect blend! This mushroom-packed burger is available on the Lunch and Lounge menu at Michael's On East through July 31. We also invite you to vote for Michael's On East online (by clicking here!) as the James Beard Foundation polls the most popular burgers based on a chef's creative use of mushrooms, flavor profile, and appetizing appearance. Please help us put Sarasota on the map and vote once a day through July 31, 2016. Please also use #BlendedBurgerProject and #MichaelsOnEast hashtags when sharing photos of your burger on social media so the Michael's team and see and share your pics! For more information regarding the Blended Burger Project, visit www.jamesbeard.org/blendedburgerproject. For reservations at Michael's On East, click here. That's right! Our own piano man has composed the score for a play, debuting this evening! Tonight at the Asolo Rep's Cook Theatre, "Sweeter Than Justice" will debut. We're always thrilled to enjoy new performances from our friends and partners in the arts and culture community, but this show is especially unique...Our own Joe Micals wrote the music for this heavy, dramatic original play written by Robert Lipkin. The play runs through May 22. Interesting Fact: It is the first dramatic play ever to have it's own score! Intrigue, violence and murder make this a very dark play. Joe says not to bring the kids, "It's not the "Sound of Music." Click here for online reservations and more details. Tickets are also available via phone through the Sarasota Ballet Box Office: 941-359-0099. Our assistant manager Cheryl Buchler made an important stop on her way to the Restaurant this morning... She donated blood as part of The Jones & Crane Show's 8th Annual Pints for Play blood drive supporting SunCoast Blood Bank. Way to go, Cheryl! Click here to learn more about the blood drive and view donation locations. EXTRA REWARDS FOR OUR MOST LOYAL GUESTS... Long-time Connoisseur Club members rejoice! This week marks the return of our Double Points Summer at Michael's On East and Michael's Wine Cellar! It's back! We love providing our loyal GCCC members with even more rewards each summer. 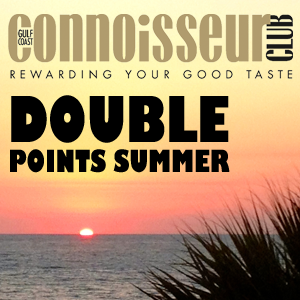 Beginning on Monday, May 9, enjoy bonus points as follows this summer: *Select Days for Double Connoisseur Club Points: Mondays, Tuesdays & Wednesdays during lunch and dinner at Michael's On East Thursdays at Michael's Wine Cellar New for this summer, GCCC members will also exclusively be offered half-priced bottles of wine on "Wine Lovers Thursdays" in the Restaurant. The Gulf Coast Connoisseur Club is a lifestyle rewards club for all who love great food, fine wine and world travel. 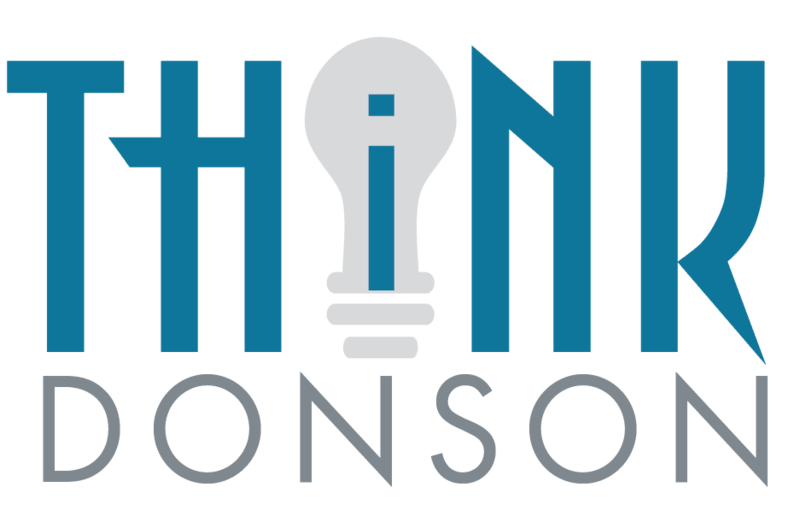 Be sure to visit the all-new Connoisseur Club website at GulfCoastConnoisseurClub.com to check your points online, learn about participating venues and special offers exclusive to Connoisseur Club members. Click here to learn more about the program, sign-up as a new member or check your point balance online. *Not valid in conjunction with special events or in combination with any other offer. Michael's special summer offerings are extended to GCCC members, May 9 - October 31, 2016. It's not too late to honor mom with a beautiful brunch along overlooking the Sarasota bayfront! Make reservations now to enjoy preferred seating in the (air conditioned!) Great Room at Selby Gardens. Michael's Events & Catering looks forward to presenting a special menu: “Cuban Style” Salad with Romaine, Green Olives, Grape Tomatoes, Swiss, Parmesan & Garlic Oregano Dressing Fresh Mozzarella Balls, Grape Tomatoes, Purple Onions, Kalamata Olives & Basil with Olive Oil & Balsamic Vinegar Chinese Chicken Salad with Peanut Sauce Waffles with Warm Syrup, Strawberry & Blueberry Sauce & Whipped Cream Wild Mushroom Ravioli with Brown Butter, Sage & Cheese Classic Quiche Lorraine ~ Scrambled Eggs ~ Crisp Bacon Fresh Fruit Bowls ~ Plus Cookies & Cupcakes Michael's Famous Flank Steak Carved to Order! Offered with Horseradish Cream Sauce & Signature Rolls Click here for ticket details and reservations. Join us in the Restaurant at Michael's On East in May 2016 for a Spanish Epicurean Adventure! DINNER MENU STARTERS A la Parrilla Shrimp Skewer Yellow Tomato Gazpacho & Spanish-Paprika Oil Costillas de Puerco Sofocado Smothered Pork Ribs with Sweet Onion, Roasted Piquillo Peppers, Pepperoncini & Grilled Baguette DINNER ENTREES La Sartén Black Cod Fingerling Potatoes, Piquillo Pepper & Fennel Salad, Baby Arugula & Lemon Vinaigrette Paprika-Rubbed Grilled Skirt Steak Rock Shrimp al Ajillo, Roasted Potato Spears, Grilled Trumpet Mushrooms, Oven-Dried Tomatoes, Onion, Parsley, Green Olive & Citrus Relish Pimento Pechuga de Pollo Chicken Breast with Candied Garlic, Lemon Zest, Bay Leaf, Sage, Sautéed Broccolini & Saffron Rice DESSERT Frozen Peach Sangria Raspberry Rioja Reduction Cantabrian Cheesecake & Red Berry Compote LUNCH ENTREES Paella ala Galicia Chorizo, Chicken, Baby Shrimp, Mussels & Saffron Rice Marinated Grilled Skirt Steak Sofrito Fingerling Potatoes, Sautéed Red & Yellow Peppers, Sweet Red Onion & Parsley Relish DESSERT Frozen Peach Sangria Raspberry Rioja Reduction Cantabrian Cheesecake & Red Berry Compote WINE PAIRINGS Albarino, Burgans, Rias Baixas Red Blend, Bodegas Carchelo, Jumilla Michael’s Epicurean Adventures present culinary journeys to a new destination each month. The Spanish Epicurean Adventure dinner menu will be available Monday through Saturday, May 2-31. 2016. The two-course lunch offering is available Monday through Friday, 11:30 a.m. to 2 p.m. Restaurant reservations are highly recommended. Please call 941-366-0007, ext. 224 or click here for online reservations. April 27, 2016, marked the 29th anniversary of Michael’s On East and you know we love to celebrate! Co-proprietors Michael Klauber and Philip Mancini are inviting you to toast the beginning of the restaurant’s 30th year with a featured Champagne toast. Guests are invited to purchase Louis Roederer Cristal by the glass at Michael’s On East for $50 per glass. The sparkling wine famously known as “The Champagne for Tsars & Stars” was created in 1876 to satisfy the demanding tastes of Tsar Alexander II of Russia. “I’ve often been quoted as saying ‘Champagne isn’t just for special occasions. Champagne makes any occasion special,’” said Michael Klauber, co-proprietor of Michael’s On East. “But it’s always exciting to toast any occasion with an extra-special glass of bubbly – truly fit for a king! Philip and I invite our guests to join us soon to indulge with this legendary Champagne.” About Louis Roederer Cristal Since Champagne Louis Roederer’s founding in 1776, the Champagne House has been synonymous with the world’s greatest Champagnes. Cristal, the most famous wine produced by Champagne Louis Roederer, was created in 1876 to satisfy the demanding tastes of Tsar Alexander II. The emperor asked Louis Roederer to reserve the Champagne House’s best cuvée for him every year. To distinguish this cuvée, this exceptional champagne came in a flat-bottomed, transparent lead-crystal bottle. The new brand was named after this precious material, which is particularly transparent and luminous. Produced uniquely during the best years, Cristal is a remarkably balanced and refined champagne whose length is inimitable. It has a silky texture and fruity aromas, complemented by a powerful mineral quality with white fruit and citrus notes. Cristal is a wine that keeps well: it can be conserved for over twenty years without losing its freshness and character. For more information, visit www.louis-roederer.com. We love hearing about "Magic & Learning under the Marulas" in South Africa! Our friends in South Africa recently sent a very special message to Michael & Terri Klauber and their close family friends the Knopiks.... Dear All Heart Team, There was a definite magic under the marulas in a small village called Justicia on Friday 18th March. For more than five years a dream has been waiting patiently here, ready to unfold when the time was right as proof that world-class digital learning is ready for all the world, even those quiet spots on the periphery that are often forgotten. Looking back on it, it was no coincidence that this special day took place in the same week as Leanna’s birthday. Good Work Foundation’s Justicia Digital Learning Campus on the border of the Greater Kruger National Park is now on the map. It is a space where the education technology revolution allows 70-year-old grandparents AND four-year-old preschoolers (and everyone in between) to plug in to a world of information that is theirs to access. Theirs to be immersed in. Theirs to learn from and participate in. For the All Heart Fund's part in helping us to create the very real magic under the marulas, we would like to say thank you. Along with Londolozi, Dulini Lodge, Rhino Africa and Airlink, it gives us great honour to add All Heart as a founding partner of this campus. 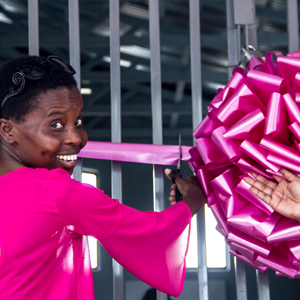 With all of our love, The GWF Team For years, the Klaubers have dedicated their entire hearts to this project. Michael Klauber, co-proprietor of the restaurant and adjacent wine store, and his wife Terri traveled to Londolozi Game Reserve in 2011, 2013 and 2015 while leading exclusive journeys for the Gulf Coast Connoisseur Club in partnership with Admiral Travel International. Over the years, Michael and Terri fell more in love with the magical land trip-after-trip, and made special memories with family friends the Knopiks. 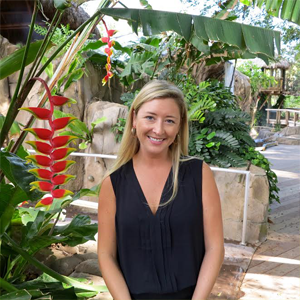 In 2013, the All Heart Fund was established in honor of Leanna Knopik, Steve and Beth Knopik's daughter, a teenage resident of Sarasota, who passed away from a rare heart disease. After visiting Londolozi with her family, Leanna's dream was to provide support to schools in rural parts of South Africa. 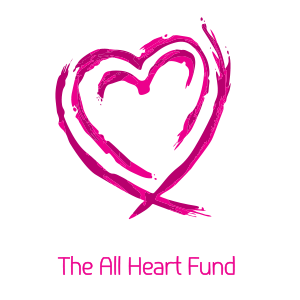 The All Heart Fund is managed within the Good Work Foundation, a nonprofit established in South Africa in 2006 which delivers digital-era literacy education and career-training to children and adults living in rural communities. The special “All Heart” program creates opportunities for students to travel to larger communities and cities for unique educational and leadership experiences, to connect with real-life businesses and support the creation of additional learning centers facilities. The Klaubers and Knopiks would like to thank all the Sarasota residents who have supported the All Heart Fund by attending Safari Sarasota Interactive Dinner Fundraising events over the past few years. Your generosity has helped the All Heart Fund's important contributions to this new rural school. 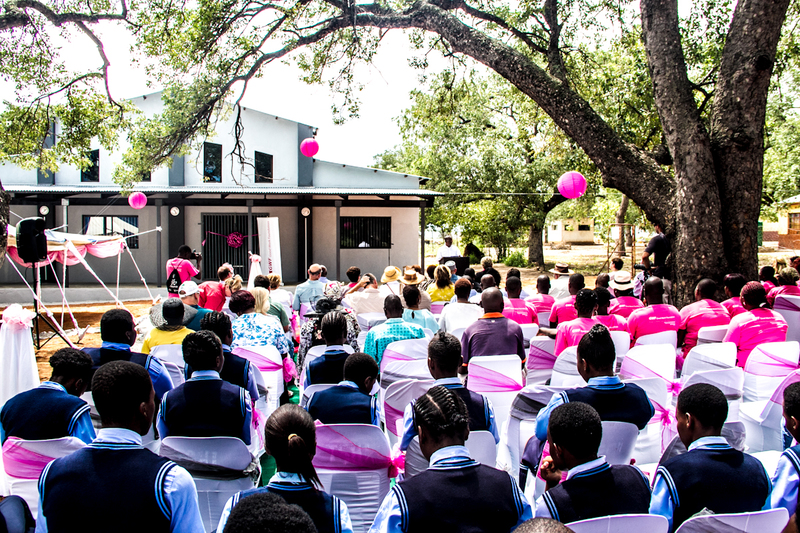 The new Justicia Digital Learning Campus is situated under the marula trees at Madlala High School and endorsed by the Mpumalanga Department of Education. It has taken a lot of heart to make this facility a reality! The campus will continue to prove that, using principles of education technology, it is possible to leapfrog rural educational challenges and deliver affordable digital learning to both adults and children living in isolated communities. Click here to learn more about the Justicia Digital Learing Campus launch. For more information about Good Work Foundation's digital learning campuses, visit www.goodworkfoundation.org. To experience the magic of South Africa as a Gulf Coast Connoisseur Club World Traveler, join the Klaubers for the next group departure in 2017. 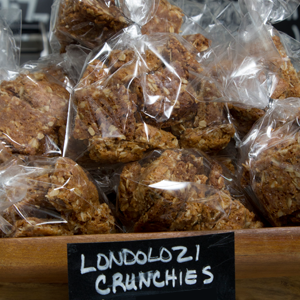 LONDOLOZI CRUNCHIES Buttery Coconut Bark with Rolled Oats The ultimate sweet on safari – and at the Gardens! The award-winning culinary team at Michael’s On East derives inspiration from around the globe. As we were planning the menu for the Selby House Cafe by Michael's On East, we knew our in-house Pastry Chef Catherine Tighe would be able to prepare ANY desserts we could dream up, but a familiar crunchie treat sounded just perfect. Since 2005, through special Gulf Coast Connoisseur Club journeys to South Africa, a unique exchange of Cape Malay recipes has graced Sarasota residents and visitors with distinct flavors created at the exclusive Londolozi Game Reserve and shared with Michael’s On East chefs! We hope you'll enjoy this special sweet “biscuit” (cookie), inspired by our friends in South Africa, during your next visit to Selby Gardens. If you are ready to join Michael & Terri Klauber and our partners from Admiral Travel International for the next Gulf Coast Connoisseur Club journey to South Africa, click here for details about the 2017 escorted departure. 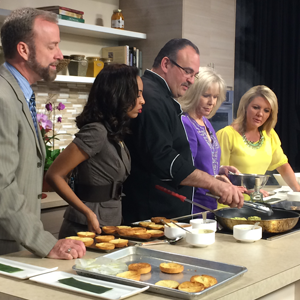 Chef Jamil was invited to cook alongside the hosts of Suncoast View today! Tune in at 4 p.m. this afternoon on Sarasota's ABC 7 or click here to watch online. 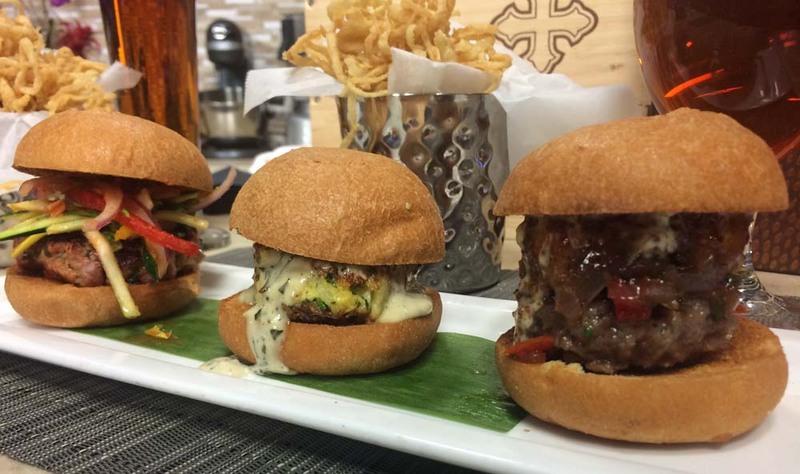 Here's the complete featured recipe if you'd like to prepare this creative Trio of Mini Sliders at home! Trio of Mini Sliders: Spicy Tuna with Wasabi Asian Slaw Curried Crab Cake with Chive & Garlic Aioli Bison Sirloin with Stone Grain Mustard, Caramelized Onion Relish & Moroccan BBQ Pork Belly on Challah Mini Rolls As prepared by Michael’s On East Executive Chef Jamil Pineda and featured on the Restaurant’s Lunch Menu, April 2016. Serves 4 For the Tuna 7oz Ahi Tuna Steak, Diced 1oz Fresh Grated Ginger 1 Jalapeno, Seeded and Minced 2oz Light Soy Sauce 1oz Chopped Fresh Cilantro 1oz Sriracha Sauce 4 Mini Slider Buns 1oz Blended Oil Method In a small bowl, mix all ingredients together except the buns and the oil. Fold mixture into four patty cakes. In a sauté pan over medium heat, add the oil and sear on both sides - rare or to your desired temperature. Set aside for until the dish is ready to be plated. For the Wasabi Asian Slaw 2 cups Shredded Mixed Cabbage 1 Red Pepper, Seeded and Fine Julienne 1 Bunch Green Onions, Sliced 4 oz Mayonnaise 2 oz Rice Vinegar 1 tbsp Sugar Pinch of Salt 1.5 tbsp Wasabi Powder Method In a small bowl, mix all ingredients together. Allow mixture to sit for fifteen minutes so all the flavors combine well. Cut the buns in half, set the tuna and slaw in between and serve. For the Curried Crab Cakes ½ lb Crabmeat ¼ Red Onion, Diced ¼ bunch Parsley, Finely Chopped 4ozs Mayonnaise 1 tbsp Worcestershire 1 tbsp Cholula Hot Sauce 1 tbsp Curry 1 cup Panko Salt & Pepper 4 Mini Slider Buns ½ cup Blended Oil Method Add all the ingredients in a small mixing bowl except the breadcrumbs. Fold mixture into four patty cakes and crust with the Japanese breadcrumbs. In a sauté pan over medium heat, add the oil and sear on both sides until the cakes are golden brown. Set aside for until the dish is ready to be plated. For the Chive and Garlic Aioli (Makes ½ cup) 2oz Chive, Chopped 2 Garlic Cloves, Minced 1 large Egg Yolk 1 tsp Dijon Mustard 4 oz Blended Oil 2 oz Virgin Olive Oil Salt and Pepper to taste Method In a small bowl, whisk the egg yolk and mustard. Slowly drizzle in the oils, whisking continuously, until emulsified. Once the mixture reaches aioli consistency, carefully fold in the chives and garlic, then season with salt and pepper to taste. Cut the buns in half, set the crab cakes and aioli in between and serve. For the Chopped Bison Sirloin 8 oz Bison Sirloin, Diced 4 oz Butter (Room Temperature) 2 oz Pork Belly or Bacon 1 oz Blended Oil 4 oz Moroccan BBQ Sauce (Recipe follows - or your favorite BBQ sauce!) 2 tbsp of Grain Mustard 2 tbsp Mayonnaise 4 tbsp Caramelized Onion Relish (Recipe follows) 4 Mini Challah Buns Salt and Black Pepper to taste For the Moroccan BBQ Sauce 2 ½ Cups Honey 1 Cup Rice Wine 1 Cup Ketchup ½ Cup Lemon Juice 2 Cinnamon Sticks – All Spice 5-Star Anise 1 tbsp Minced Garlic 1 tbsp Coriander Seed 1 tbsp Red Pepper Flakes 1 tsp Cardamom 1 tbsp Green Pepper Corns 1 tbsp Dried Lavender 1 tbsp Minced Ginger 1 tsp Whole Cloves 1 tsp Mace – Nutmeg ½ Cup Chopped Cilantro 1 tsp Salt Combine all ingredients, bring to a boil and simmer until reduced by half. Strain through Chinois and set aside. Caramelized Onion Relish 1 medium Spanish Onion, diced 2 tbsp Roasted Red Pepper 20 oz Extra Virgin Olive Oil 2 tbsp chopped parsley 1 tsp of sugar 2 oz olive oil Method In a sauté pan over medium heat, sauté the onions with olive oil until they begin to brown, add the sugar and cook until the sugar is dissolved. Once browned, set aside and allow to cool for one hour. Transfer the onions to a small bowl and add the rest of the ingredients. Mix well for assembly. To Finish & Plate In a small cup, mix the mustard and mayo well. In a small bowl, mix the sirloin, butter, salt and pepper and fold in to four patties. In a sauté pan over medium heat, add the oil and cook the patties until they reach your desire temperature on both sides. Cut the rolls in half, set the burgers, mustard and mayo mix, pork belly, onion relish and bbq sauce in between and serve! Celebrate all night for a great cause! Beginning on Monday, April 4 and continuing each Monday through June 2016, continue enjoying $5 happy hour specials (Michael's Private Label Wines, Draft Beers & Well Cocktails, 5-9 p.m. on Mondays) as we raise a glass in support of The Circus Arts Conservatory. The mission of The Circus Arts Conservatory is to engage and educate students using unique and innovative learning programs; to measurably improve the quality of life for individuals in care facilities; and to advance the extraordinary legacy and heritage of the circus. 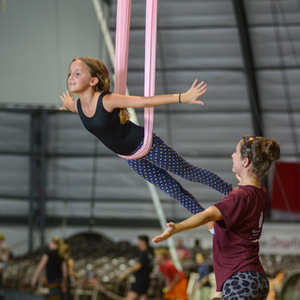 Click here to learn more about The Circus Arts Conservatory.